pH 20 is a basic pH meter designed for simplicity of use in all applications where fast and efficient daily controls are required. This meter is also suitable for the educational field, where students are often first introduced to measuring instruments. 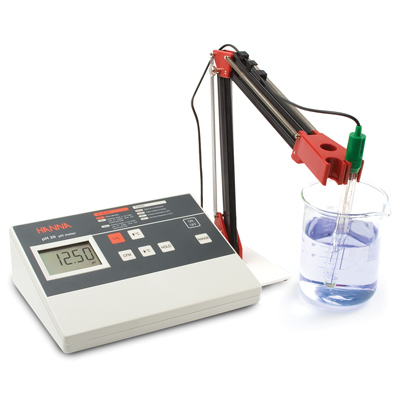 This model measures pH in the 0 to 14 range, with 0.01 resolution. The pH calibration procedure is automatic and can be performed at one or two points. Readings can be manually (MTC) or automatically (ATC) compensated for temperature. 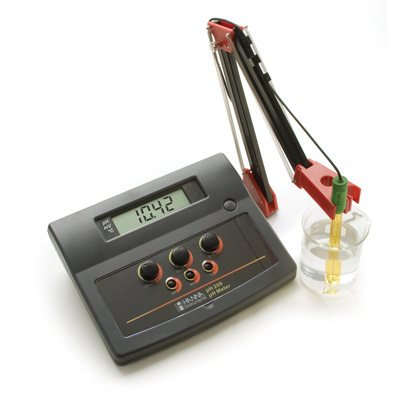 The automatic temperature compensation is performed if using the optional HI 7662 temperature probe, while for manual compensation the user can set the temperature value through the arrow keys. The meter is also provided with the HOLD function, which allows to freeze reading on the LCD by simply pressing the HOLD button. pH 20-01 (115V) and pH 20-02 (230V) are supplied with HI 1110B pH electrode, 12 VDC adapter and instructions.